Sheltered by cooling palm trees on Siloso Beach, Sand Bar welcomes all beach goers, who want to cool off with a refreshing beer, an icy-cold or frozen cocktail while listening to some great music. 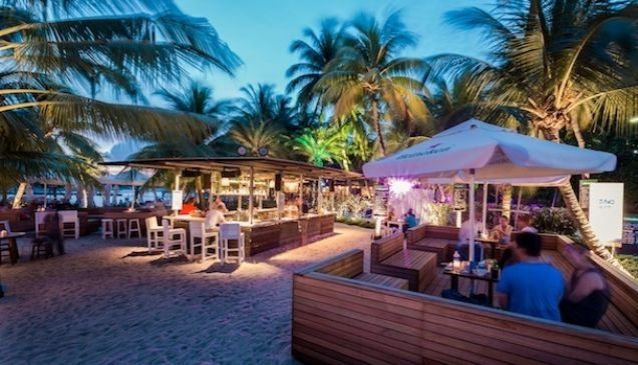 With its intimate stage facing the sea, Sand Bar is the only live music venue on the beach. On weekends, it offers a particularly romantic setting to watch the sunset with local bands setting the mood with all your favourite tunes. Sand Bar also serves all the food menu prepared by its sister company, the next door rotisserie Flame.